The Democratic People's Republic of Korea fields one of the most capable third-world strategic SAM networks on paper. However, despite the high concentration of strategic SAM batteries and EW sites, there are significant issues in the network which need to be addressed in the near future. If these issues are ignored, the DPRK will be placing itself at risk. The DPRK's strategic SAM assets are subordinate to the Air Force. The Air Force operates a variety of Soviet-era equipment. The following strategic SAM systems are currently in service: S-75 (SA-2 GUIDELINE), S-125 (SA-3 GOA), and S-200 (SA-5 GAMMON). 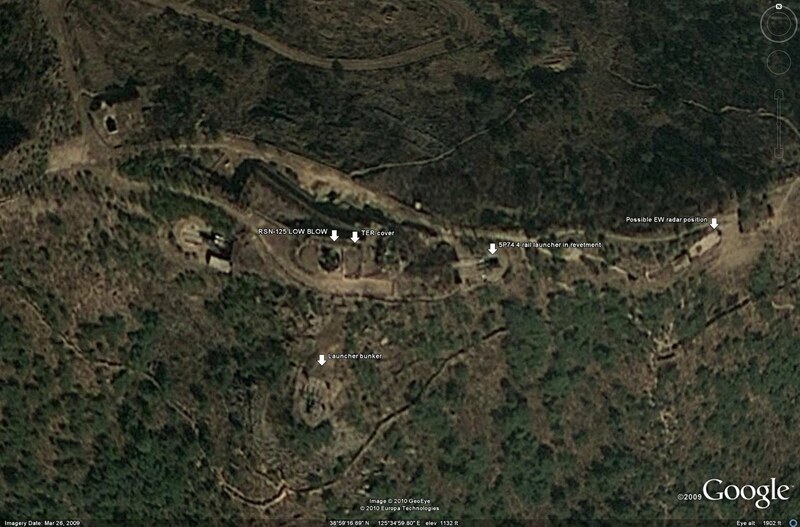 The following image depicts a notional DPRK EW site. Most EW sites appear to be host to a single example of one radar type, in this case a P-14. Other radars, especially smaller units such as those of the P-12/18 series, may be present but not visible in available imagery. Alternatively, they may be held in reserve to expand the network when required, or may simply not be discovered yet. AAA sites, such as the battery seen here, are common at both EW and SAM sites to provide additional defense. Interestingly, the only strategic SAM system which appears to possess an organic EW system is the S-200, with each battery containing a P-14 radar. The S-75 and S-125 batteries do not appear to field any organic EW elements, in which case they must rely on either the external network or the limited functionality of their engagement radars to provide target acquisition and track generation. It is possible that these SAM batteries do contain EW elements, but that they have not been located or are not visible in available imagery. A further EW system available to the DPRK is the Ramona passive detection system. The advantage to the Ramona is that it does not radiate, allowing it to be relocated to complicate targeting with considerably more ease than a strategic SAM battery. The Ramona system has not been located in available imagery, but is believed to be a leftover Soviet system, emplaced and operated by the USSR. There are currently fifty eight active strategic SAM sites located in the DPRK. The following image depicts the locations of these sites. S-75 sites are red, S-125 sites are light blue, and S-200 sites are purple. 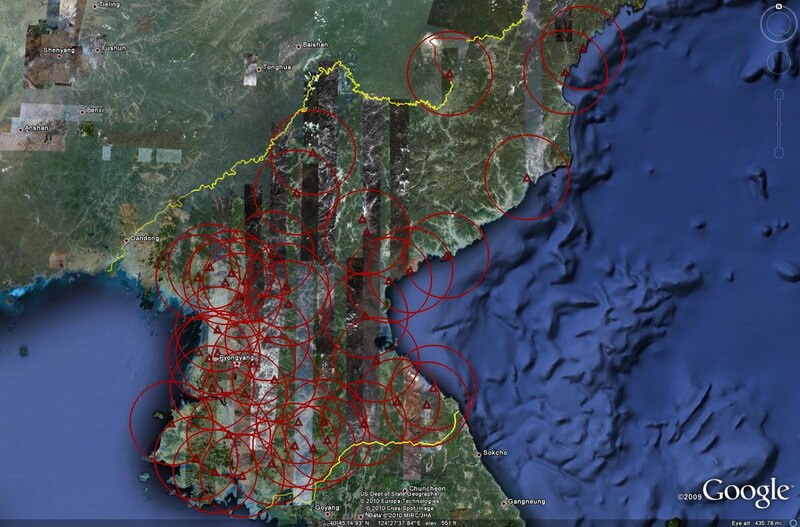 As can be seen, the overwhelming majority of the deployed strategic SAM assets are located along the DMZ and the coasts. 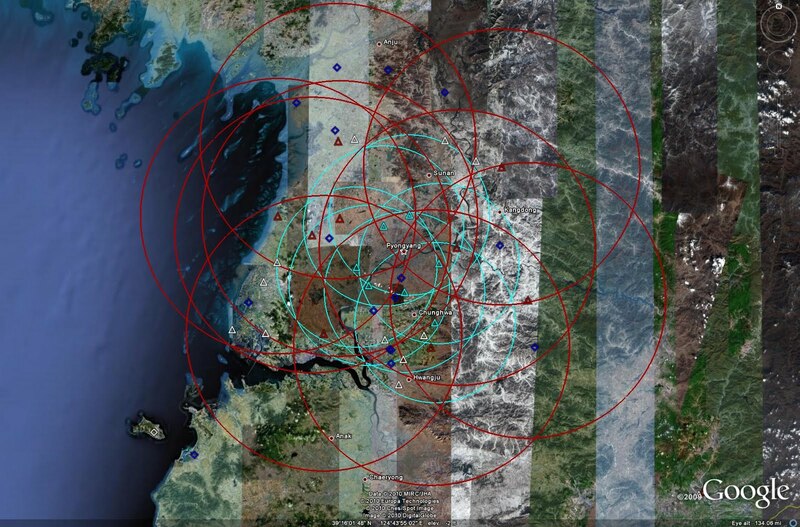 The following image depicts the overall SAM coverage provided by the identified DPRK strategic SAM sites. Using the same color scheme applied previously, SA-2 zones are red, S-125 zones are light blue, and S-200 zones are purple. 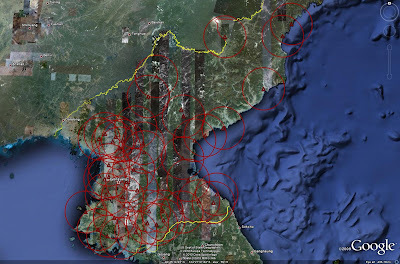 There are currently forty six active S-75 sites inside of the DPRK, constituting the bulk of the strategic SAM force. According to SIPRI, a total of 45 S-75 Dvina systems were delivered to the DPRK from the USSR. 15 batteries were supplied between 1962 and 1964, with the remaining 30 batteries being supplied between 1966 and 1971. A total of 1950 missiles were reportedly supplied to arm the batteries. 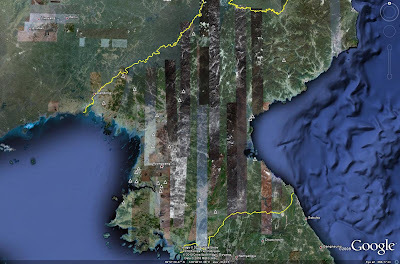 S-75 batteries are deployed to provide barrier air defense of the DPRK's coastlines and the DMZ, as well as coverage of the bulk of the DPRK's interior. 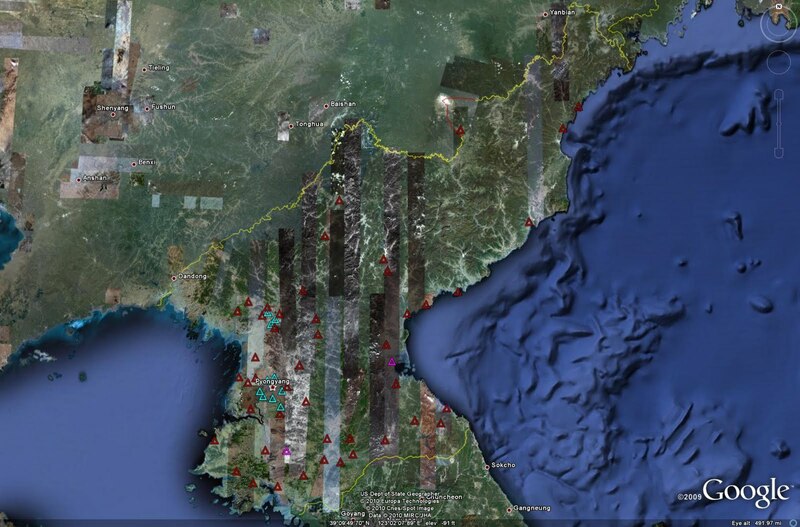 There are currently ten active S-125 sites inside of the DPRK. 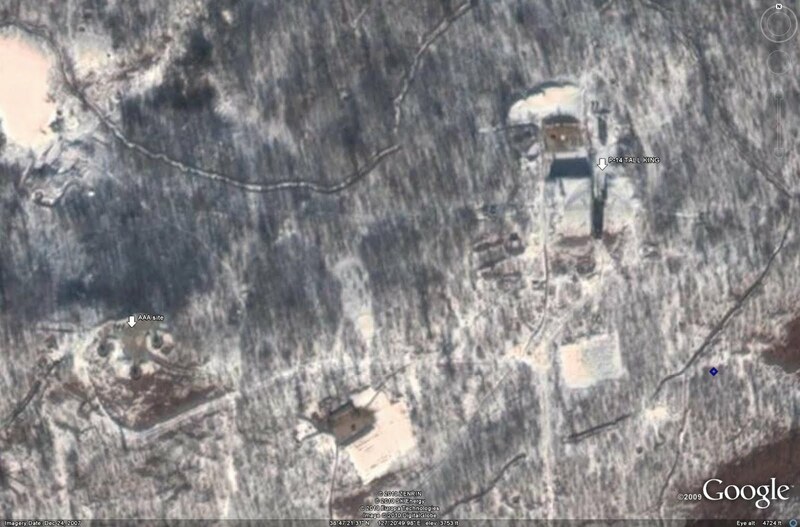 Seven batteries are positioned to defend the capital of Pyongyang, with the other three situated to defend the nuclear research center at Yongbyon. The DPRK operates the S-125M Neva-M variant, with SIPRI reporting that eight batteries were supplied between 1985 and 1986. Seven of the deployed S-125 batteries, six around Pyongyang and one near Yongbyon, are situated at sophisticated hardened facilities. These hardened sites contain three launch revetments for 5P73 4-rail launchers and a radar position for the RSN-125 (LOW BLOW) engagement radar. The launchers can be retracted into bunkers when not in use. Similarly, the engagement radar can be lowered into a bunker and protected by a retractable cover, which splits in half and slides open when the radar is exposed. There are currently two active S-200 sites inside of the DPRK. These sites are placed near the east and west coasts in the southern portion of the nation, allowing them to range far offshore and deep into the ROK. The S-200 represents the longest-range strategic SAM system in the DPRK's arsenal. Four S-200 batteries were supplied to the DPRK between 1987 and 1988, and two batteries are likely co-located at each location. As with the S-125, the DPRK employs hardened facilities for the S-200. Elevators are provided for the two 5N62 (SQUARE PAIR) engagement radars at each location allowing them to be stowed undergroudn when not in use, and hardened bunkers are provided for the 5P72 launch rails. There are currently twenty nine identified inactive strategic SAM sites located in the DPRK. There are twenty seven S-75 sites and two S-125 sites. The bulk of these sites are located in the vicinity of Pyongyang. As such, they may represent facilities available for bolstering capital area air defenses during a time of conflict. They may also be employed as relocation facilities, complicating targeting of active batteries. Some inactive locations, notably those near the northwest border with China and near Kuum-ni on the northeastern coast, are situated in coverage gaps in the SAM network, suggesting that they may have been labeled as inactive when last imaged due to their assets being relocated for training or maintenance purposes. Interestingly, there are no identified support facilities related to the strategic SAM force in the DPRK. Given that the DPRK employs a great deal of hardened and underground facilities, this is not necessarily suprising. Many of these facilities are identified in other nations due to the identifiable presence of SAM components in imagery. 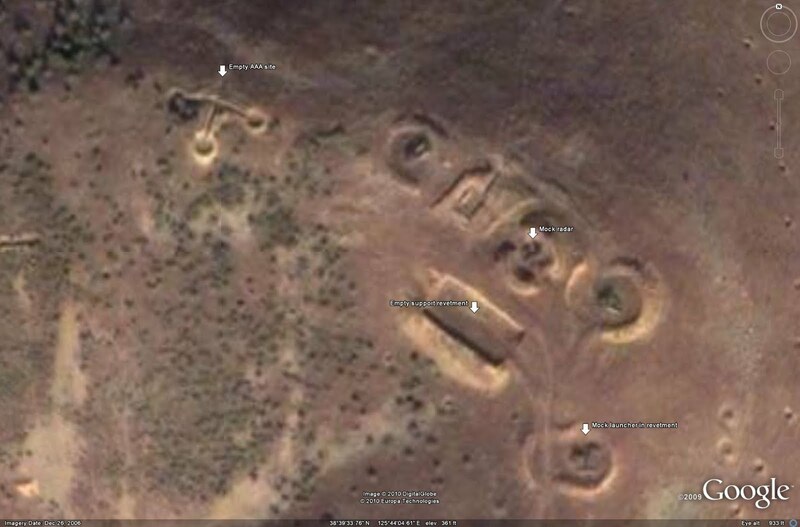 If these facilities are kept hidden in the DPRK, then their identification would be extremely difficult. However, it should be assumed that such facilities do exist, even if they have not yet been located or conclusively identified. These facilities would provide maintenance functions, store missile reloads, and garrison surplus equipment for future deployment. The DPRK appears to possess an intelligently designed, layered air defense network at first glance. S-75 sites are positioned to provide barrier air defense of the coastal and southern border regions, with the remaining S-75 and S-125 batteries bolstering inland defenses and protecting critical locations. Long-range air defense is provided by the DPRK's S-200 batteries. The S-200 is a significant threat to ISR and support aircraft operating in the theater, such as the USAF's U-2R based out of Osan AB in the ROK. The location and range of the S-200 would hold any such cooperative target at risk shortly following takeoff from most of the airfields in the ROK. Ergo, while the S-200 is not a serious threat to any non-cooperative, maneuverable targets such as fighter aircraft, it represents a significant problem for any potential aggressor. Many of the DPRK's S-75 batteries are positioned along the coastline and along the DMZ. These systems are placed to provide barrier air defense to deter any foreign intrusion into the DPRK's airspace. The majority of these systems are positioned to provide overlapping fields of fire to strengthen air defenses in these areas. The northern border with China and the northeastern border with Russia are left undefended, likely due to the DPRK not anticipating that either nation would be a party to hostilities against it. 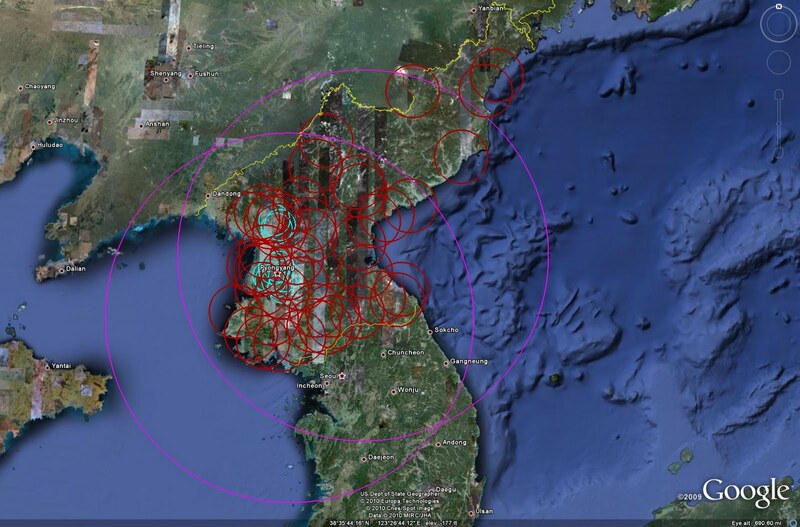 The wide-ranging deployment of military facilities in the central part of the nation has precipitated the siting of S-75 and S-125 batteries to protect much of the DPRK's interior. S-125 batteries are specifically sited to protect two areas, Pyongyang and Yongbyon. 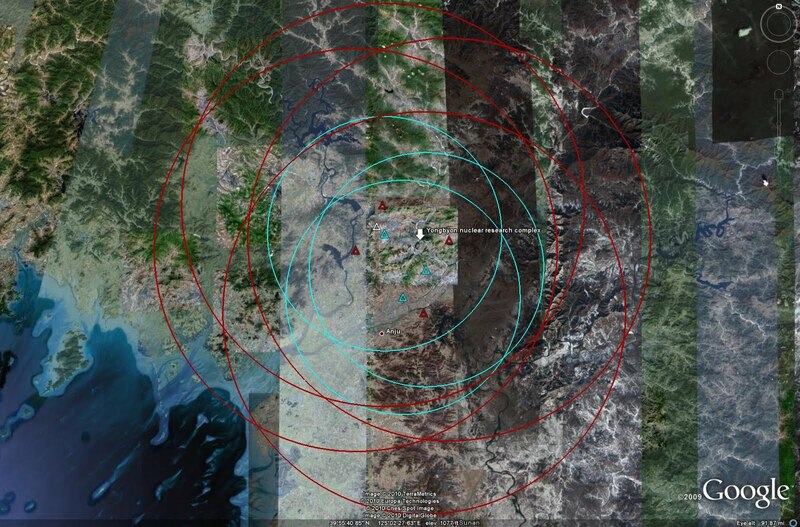 Interestingly, one location left udnefended is the underground nuclear test facility in the northeast. This may be due to the fact that if air defenses are present, analysts will assume that there is something there worth protecting. 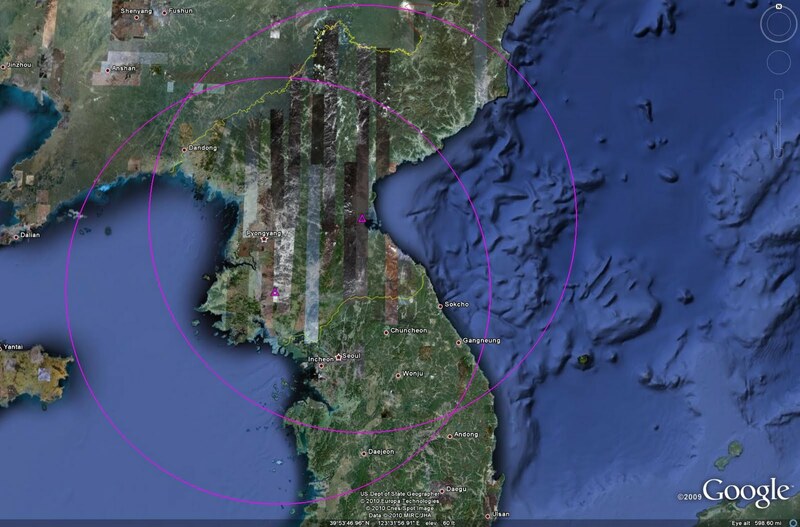 Similarly, the DPRK's rocket test sites at Musudan-ri and Changya-dong are also currently unprotected. It is possible that many of the sites identified as active are not in fact legitimate SAM sites. 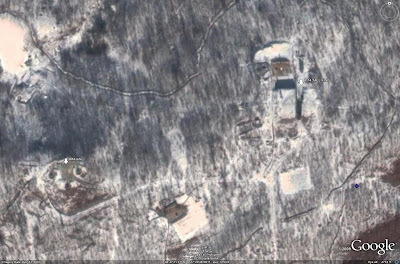 With a number of camoflaged and underground facilities, the DPRK is clearly aware of the concept of denial and deception. Such practices may be in place in the strategic SAM network. Consider the figures. It is reported that forty five S-75 batteries have been delivered, but forty six sites have been identified as operational. Many of these sites do not use traditional FSU site layouts, and are partially obscured by trees and other vegetation. The same numerical discrepancy exists in the S-125 force, with ten sites appearing active but only eight batteries reportedly being delivered. In addition, seven of the S-125 batteries have been provided with hardened facilities, begging the question of why the others have not. It is possible that the active S-125 batteries found at non-hardened facilities are in fact decoy sites. However, there is not sufficient evidence to conclusively prove this one way or the other. The simplest method available to prove if a site is active or a decoy outside of having a personal ELINT system is to examine the imagery for the associated cable connections and other typical equipment found at active batteries. However, due to the aforementioned vegetation, many of these sites cannot be examined in this fashion. As such, if they contain what appears to be active equipment, they are assumed to be active batteries. One mock S-125 site has been identified conclusively. This site, seen in the image below, contains a radar mockup and three launcher mockups. Note the southernmost launcher mockup. This launcher is clearly a mockup, having only two widely separated launch rails which are not parallel. Were this an actual 5P73 launcher, there would be four perfectly parallel rails. The imagery is of sufficient quality to discern that there are in fact only two rails. The spacing of the rails also indicates that this is not a 5P71 two-rail launcher. Further evidence of this site's true nature is found in the lack of any support equipment. None of the command and control vans are present, which would render this site unuseable even if it were fitted with operational equipment. 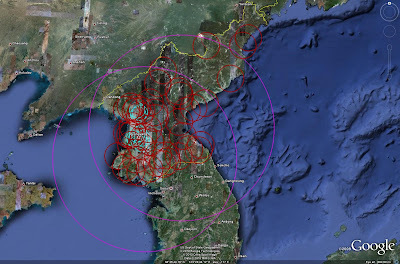 The primary issue facing the DPRK's air defense network is one of age. While the equipment may still be serviceable, none of it is a major threat to a modern air arm. The DPRK desperately needs an infusion of modern air defense systems if it is to remain viable in the 21st Century. The S-75 and S-125 have been faced multiple times by modern air arms since 1990 and have consistently been defeated by current tactics and electronic warfare techniques and systems. Iraq, Afghanistan, and Yugoslavia all possessed these systems and they were all defeated. The main victory claimed by these systems was the downing of an F-117A by a Yugoslavian S-125 battery in 1999, but this was due more to excellent intelligence support (they knew the F-117's route and whatever idiot planner was responsible used the same flight path over and over), outstanding site discipline (the site did not often radiate to give its position away), and the addition of an optical tracking system than the actual effectiveness of the system. In a conceivable conflict the DPRK would be facing American and ROK aircraft, and the USAF has exploited the S-75 and S-125 for decades. The S-200 may be marginally more credible as a threat, but as mentioned before it is only a significant threat to a cooperative (i.e. nonmaneuverable and slow) target. It has also been physically exploited based on the presence of equipment at the Tolicha Peak Electronic Combat Range, but it is not known when this was acquired, meaning that the DPRK may have a more recent iteration of the system with a few tricks up its sleeve that remain undocumented. Given American reliance on ISR and IFR platforms during wartime air operations, it is likely that the S-200 batteries would be struck during the opening salvo of any conflict. The other major obstacle to the DPRK's strategic SAM force is terrain. Much of the terrain in the DPRK is very varied, including that near the DMZ. Even a height difference of a few hundred feet can produce an exploitable blind zone in a SAM battery's coverage. More critically, many of the S-75 batteries along the DMZ are placed in positions of lower altitude than the surrounding terrain, restricting the fields of view of the SAM batteries. This is a significant error in the placement of these systems, as it denys them the ability to function to their maximum degree of effectiveness. The hardened S-125 and S-200 batteries were placed more logically at higher elevations than surrounding terrain, allowing them greater freedom of operation. One further issue to address is the overreliance on AAA and MANPADS' in the DPRK. The DPRK possesses some of the highest AAA concentrations in the world. The general cocnept is that combat aircraft will fly at lower altitudes to more easily evade SAM batteries, making them susceptible to AAA or MANPADS'. What the DPRK has overlooked is the fact that its SAM defenses are inadequate in light of current ECM and SEAD systems, allowing combat aircraft to fly at higher altitudes to avoid the bulk of the AAA and the entirety of the MANPADS threat. AAA is comparatively cheap and can be very effective in the right environment, but the DPRK seems to have seriously erred in its judgement. The DPRK is the new Iraq. During the lead-up to Operation DESERT STORM, the Iraqi air defense network was often described as being one of the world's most capable. This turned out to be an erroneous description, based in part due to Iraq's overreliance on dated technology and weapon systems. The same problems which plagued Iraq's air defense network in 1991 are evident in North Korea's current network, and must be rectified if the DPRK intends to field any sort of credible air defense in the 21st Century. 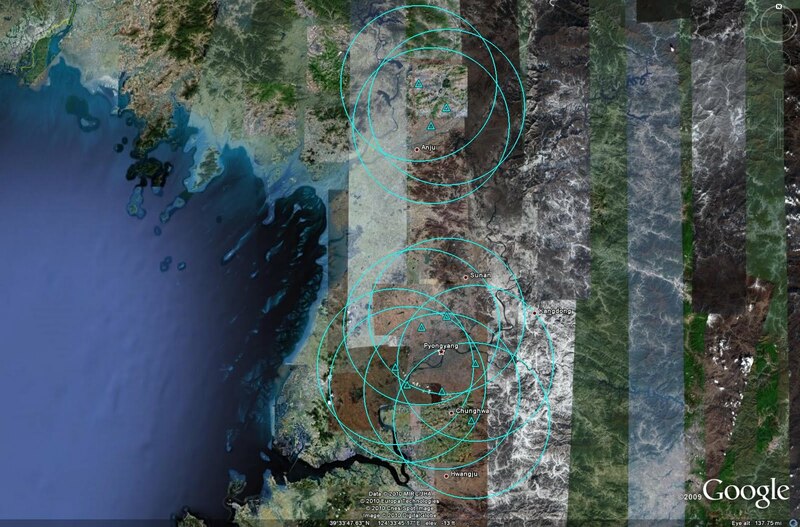 -The aforementioned data is based on analysis of the available open-source satellite imagery of North Korea and may therefore not represent the entire air defense network. REALLY REALLY APPRECIATE YOUR EXCELLENT JOB. You completly neglected to mention the SA17 SA4 and SA6 missiles that more than one sight has acknowleged north korea posseses. 2. There is no credible evidence that those systems are operational in the DPRK. The SA-17 is only now being exported, the SA-4 was never sold outside the Warsaw Pact, and there's no hard evidence of the SA-6 ever having been sold to the DPRK. 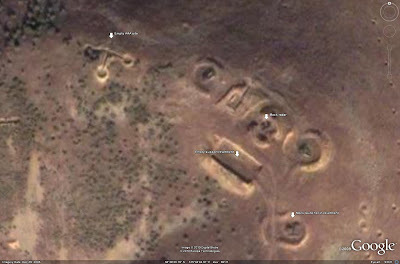 Its not an error for the North Koreans to place SAM sites on low terrain. They have to do that if the systems are going to have any mobility at all, and peacetime deployments need not be the same as war positions. It would not be fun trucking SA-2s site up and down narrow roads to mountain peaks. SAM sites in static positions are doomed out of hand. Cant they buy stuff of china? Thank you for the great info! It is amazing what modern technology, hard work, and expertise make possible. The strength of the North Korean Quah happen, then even the strategy and plans of the U.S. war must also acknowledge the fact. North Korea is one of the few countries in the world can confrontation and perform a full-scale war with the United States. Though the United States was trying to use all the facilities and the most modern equipment, such as aircraft reconnaissance: RC-135, EB -3, U-2R, U-2s are based at Ohsan Korea. Apart from the United States also uses 70 defense intelligence KH-11 ting continuous operation on North Korean airspace. though the information that U.S. intelligence obtained could not tell exactly about the power of the North Korean military. Saudi to Israel: Clear for takeoff?